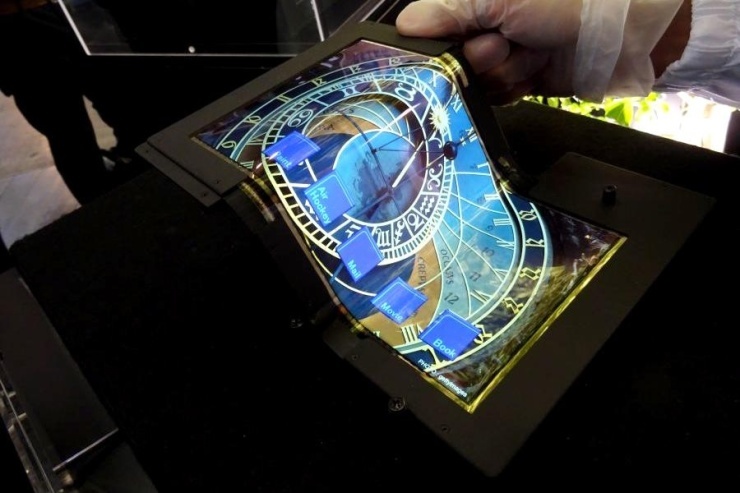 This Prototype OLED Screen Can Fold Into Thirds | OhGizmo! The large screen size of the new iPhone 6 Plus has rekindled the conversation of just how big these devices will get. More screen real estate is always a good thing, but a pocket-bursting phone that looks like a tablet not so much. That why bending screens may be a way to have your cake and eat it too. 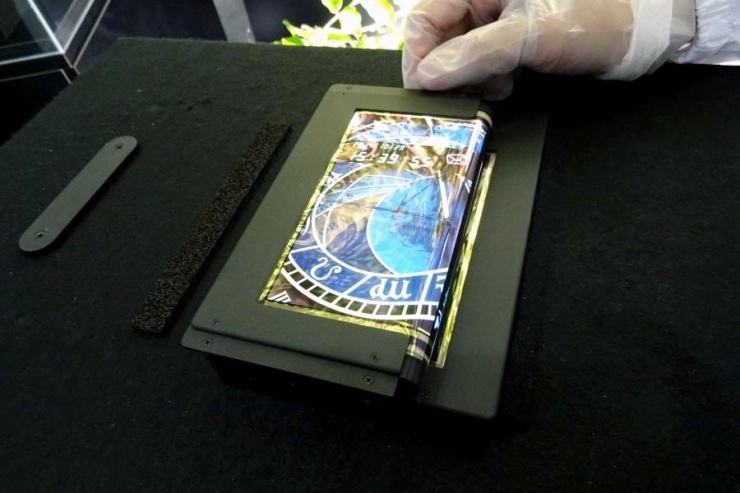 The above prototype OLED screen, developed by Japanese firm Semiconductor Energy Laboratory, better known as SEL Co. Ltd, fully folds down into thirds, while remaining completely functional. It has been tested to fold and unfold up to 100,000 times, so durability isn’t an issue; that’s two bending sessions a day… for 137 years. The screen itself measures 8.7-inches, and has a 1080p resolution, giving a 254ppi pixel density. And as cool as it is, there’s clearly no word on when or even if this particular model might ever make its way to actual devices you can buy. Still, it’s nice to know the tech is being developed and it’s probably just a matter of time until we start seeing bending devices pop up on the market.